Do I Need a Cover Letter? Check! Err on the side of professionalism when applying for an internship or your first “real” job. I recently agreed to provide a job referral for a friend. The opportunity to receive a referral — to have somebody on “the inside” vouch for you to a somebody who is in a position to hire you — is a true gift and is often key to getting your foot in the door for an exciting job or internship opportunity in a competitive market. My friend is terrifically talented, and I had absolutely no reservations about speaking on his behalf. On top of that, he has a positive attitude and a great work ethic. Why wouldn't I refer him? YES! Yes, yes, yes! You absolutely, positively, always need to write a cover letter — especially if the recipient of your résumé has never met you. When I looked at him with my are-you-kidding face, he confessed that he didn’t know what to write. I am always taken aback when bright minds are confused by standard business practices, but I shouldn’t be so surprised. Most colleges aren’t structured to teach students the business aspect of securing a job in their chosen career field. Wouldn’t it be great if colleges implemented mock interviews and offered classes in negotiation across the board? Until then, it’s up to you to cultivate best-practice techniques when applying for a job or internship. Long before I had anything resembling an “okay” résumé, I knew how to make a cover letter work for me. I firmly believe that this alone secured my first jobs and internerships while I was still in school. All of my early submissions were sent to business leaders who did not know me and would not have known the depth of my commitment and passion based on my flimsy résumé. A cover letter is a great place to show your personality, your work ethic, your passion for the job or project, and your knowledge of the organization and how you are a unique fit for their needs. The company is looking for somebody to solve a problem (an open job), and you need to convince them you are the person to solve that problem. It is not a place to repeat your résumé; it’s an opportunity to share the important information that isn’t on your résumé but that is directly applicable to the position. Seek referrals. If you know anybody who is connected to the company or who is well-known and respected in the same field, ask if they would be willing to provide a referral or a follow-up call after you submit your application. Don’t forget to factor in reputable professors and former employers. Take care to ask for referrals from people who know you and your work well. If you think a particular ask is a stretch, it probably is, and it would be better to ask someone who is more familiar with you and your unique qualities. Tell who referred you. After a quick “Hello,” begin your cover letter with the words, “I come to you on a strong recommendation from,” and then add the name of your referral. By naming a respected professional who can back up your work and who is well-known to the company, you are proving that you are desirable to others in the business and have the ability to take on the necessary responsibilities. The second paragraph should be all about you. Use your personality and zip to sell yourself as concisely as possible. Don’t repeat your résumé, but do highlight specific skills, traits, and/or qualifications that are particularly applicable to the job. If you have a strong work ethic, collaborate great in teams, like a big challenge, or have excellent writing skills, say so, and provide examples to back it up. Most important, you must demonstrate knowledge of the company and why you would be a good fit for the position. Repeat your contact information — don’t make them search for it. “I can be reached via phone at ____ and email at _____.” Take care to have an appropriate, professional voicemail message (background music is not professional, and neither is noise, such as the TV or a screaming sibling or chatty roommate), and be sure to have an e-mail account with your professional name. In fact, I would encourage you to set up an account just for professional correspondence so that important messages don’t get lost in your inbox should potential employers contact you via e-mail. Let them know they can contact your referral for feedback, and list the referral’s contact info at the bottom of the letter. Finally, let them know that you will follow up professionally in a few weeks to ensure that they have received your materials. 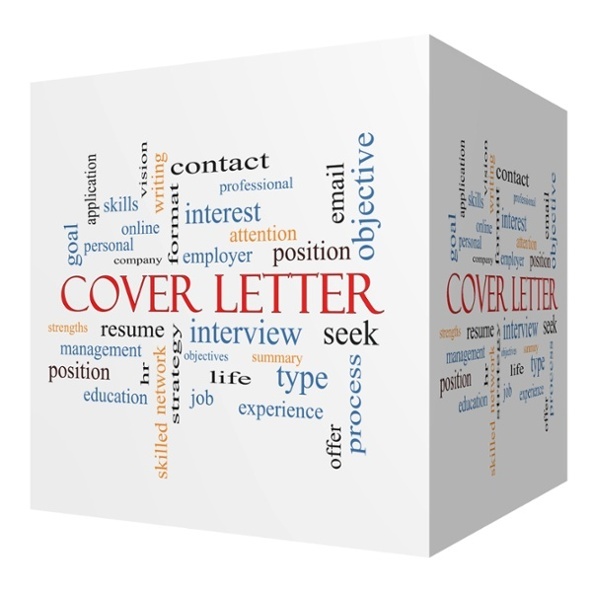 If you are e-mailing the cover letter, you can include it in the body of the e-mail, but always add the cover letter as a PDF attachment, too, along with your résumé. In general, keep your cover letter upbeat and concise. A cover letter should never, ever be more than one page long. It should always be typed. And it should never enter “cute” territory. This is not the place for smiley faces and jokes, and save the exclamation points for the text you send to your friends when you get the job. Proofread your letter (and résumé) several times, and use a spellchecker. Lastly, get a second opinion on your letter from a trusted source in the business. Friends are great, but they might not be able to provide the feedback you need to be successful in your chosen profession. And don’t forget to thank the person who referred you by sending an old-fashioned thank-you note within three days of the referral. In this day and age, a handwritten note shows special appreciation, and you may just secure a fan for life. Remember, everyone has a personal flair. What works for me may not work for you. But no cover letter at all won’t work for anyone.